1. That you may only download Content that www.la2nd.org designates as offered for download to any single computer a single copy of any Content for personal and noncommercial use. 2. To not reproduce, distribute, modify, re-post on another site (regardless of the server on which the Content is stored), or sell any Content without specific written authorization from www.la2nd.org, unless such use is pursuant to Part III of this agreement. 5. That by posting or submitting any text or other materials to the Site you grant www.la2nd.org a royalty-free permanent license for the worldwide use and/or sublicense of such materials. Such license shall include the right to exploit any proprietary rights in the posting or submission. You acknowledge that due to the immediate nature of this medium, www.la2nd.org does not review, censor, approve, edit, or endorse information placed on the Site by its users, and cannot guarantee that inappropriate material will not be posted. www.la2nd.org will review user postings from time to time and will take steps to remove inappropriate postings that come to its attention. The Site may provide, or third parties may provide, links to other sites or resources. Because www.la2nd.org has no control over such sites and resources, you acknowledge and agree that www.la2nd.org is not responsible for the availability of such external sites or resources, and does not endorse and is not responsible or liable for any content, advertising, products, or other materials on or available from such sites or resources. 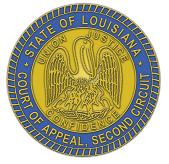 You further acknowledge and agree that www.la2nd.org shall not be responsible or liable for any damage or loss caused or alleged to be caused in connection with use of or reliance on any such linked content, goods or services available on or through any such linked site or resource. All users shall use the Site for lawful purposes only. You agree not to post or transmit through the Site any material that is unlawful, threatening, abusive, defamatory, invasive of privacy or publicity rights, vulgar, obscene, profane, which encourages criminal conduct, or that may give rise to civil liability. You agree not to post or transmit through the site any material or text which constitutes advertising or solicitation with respect to any product or service, unless expressly authorized in writing by www.la2nd.org to do so. Conduct by any user that, at the discretion of www.la2nd.org, restricts or inhibits any other user from using or enjoying the Site will not be permitted. www.la2nd.org reserves the right to refuse access to the Site to any user for any reason, including, without limitation, a reasonable belief that the user in question has violated these Terms or any of the copyright or trademark laws of the United States. CAUTION: ANY ATTEMPT BY ANY PERSON TO DELIBERATELY DAMAGE THE SITE IS A VIOLATION OF CRIMINAL AND CIVIL LAWS. SHOULD SUCH AN ATTEMPT BE MADE, www.la2nd.org RESERVES THE RIGHT TO SEEK DAMAGES FROM ANY SUCH PERSON TO THE FULLEST EXTENT PERMITTED BY LAW. You agree to indemnify, defend, and hold harmless www.la2nd.org; its affiliates and partners; and their respective officers, directors, employees, agents, members, licensors, representatives, and third party providers to the Site from and against all losses, expenses, damages, and costs, including reasonable attorneys' fees, resulting from any violation of these Terms. www.la2nd.org reserves the right to assume, at its sole expense, the exclusive defense and control of any matter subject to indemnification by you, in which event you will fully cooperate with www.la2nd.org in asserting any available defenses. Any and all disputes, with the exception of copyright claims, arising out of, under or in connection with this Agreement, including without limitation, its validity, interpretation, performance, or breach, shall be settled by final and binding arbitration in Washington, D.C., pursuant to the rules of the American Arbitration Association. Judgment upon any award rendered may be entered in the highest court of the forum, state or federal, having jurisdiction. This agreement, its validity and effect, shall be interpreted under and governed by the laws of the District of Columbia, without regard to its conflict of laws provisions, and you agree that the arbitrators shall award all costs of arbitration, including reasonable attorneys' fees plus legal rate-of-interest, to the successful party. Copyright claims shall be brought in the Federal court having jurisdiction. If you are an agent for or an employee of a non-U.S. company but operate in a place of business in the U.S. or its territories, you expressly agree that any dispute regarding this contract shall be adjudicated within the U.S. in the manner described here. If www.la2nd.org is obligated to go to court, rather than arbitration, to enforce any of its rights, you agree to reimburse www.la2nd.org for its respective legal fees, costs, and disbursements if www.la2nd.org is successful.